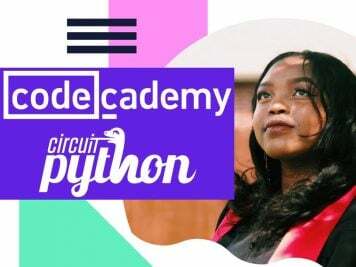 Black Girls CODE NY’s #LoveIsRespectBK Hackathon Helps Young Women Understand Healthy Relationships #makereducation « Adafruit Industries – Makers, hackers, artists, designers and engineers! 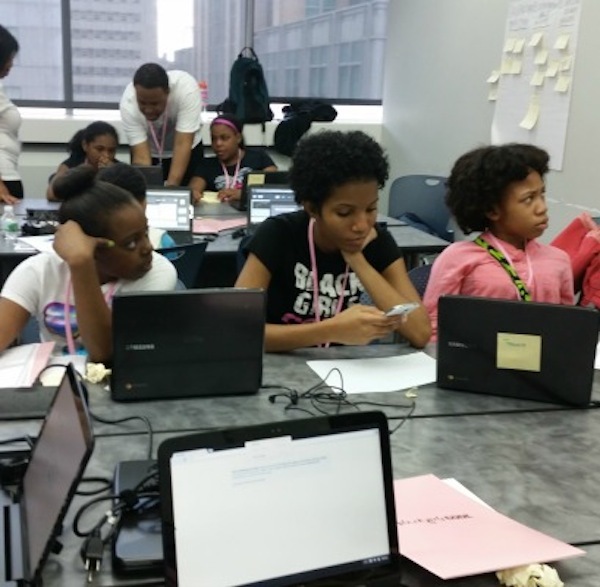 The New York City chapter of Black Girls CODE merged technology and awareness this past weekend, gathering nearly 60 girls between the ages of 10 and 17 at NYU Polytechnic University School of Engineering to create innovations that will familiarize their peers with both healthy and unhealthy relationships. Titled “loveisrespect,” the two-day hackathon powered by BGC, Verizon Wireless and Break the Cycle focused on empowering the young hackers through consciousness and technology. The young inventors jumped right into the swing of things on Saturday morning. After attending a workshop led by Darlene Kiyan, executive director at Break the Cycle, which pinpointed the characteristics of healthy relationships, as well as possible red flags, the teams were established and the girls quickly began discussing ideas and, ultimately, got right to work. To see the transformation of their initial thoughts to their finished product through teamwork, patience, diligence and all-around ingenuity sparked rounds of applause during Sunday afternoon’s demo of their websites and apps.